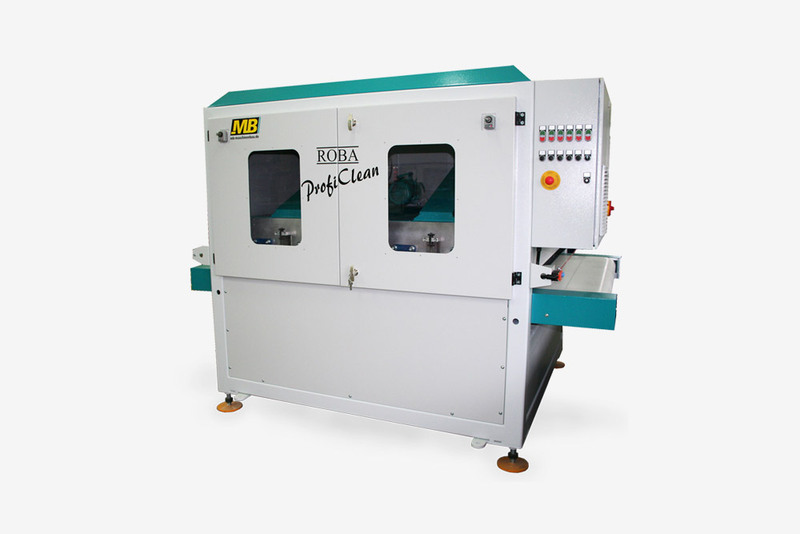 The ROBA Profi Clean as through feed solution guarantees high productivity with best cleaning results. Solution as stand-alone version or for large quantities directly in front of a production line. Many users have the problem of imbedded dirt particles to show up in the sheet batch or in the coil. Ordinary machines are cleaning with transverse or straight units. Both versions are not able to show satisfying results. Only a combination of both movements is able to guarantee optimized cleaning. The new MB system solves the problem with the help of an oscillating cross unit in addition to the straight working unit. These units take care that the whole part is cleaned properly, even complicated contours are possible. Special brushes collect the dirt, ionization brushes reduce static loads, and a blower system completes the cleaning process. 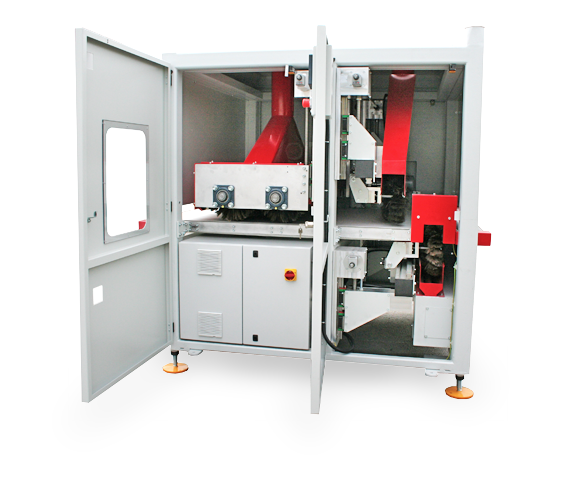 On demand the machine is deliverable with a bottom cleaning unit. Transversal cleaning aggregates, consisting of an oscillating four brushes unit. On demand top and bottom units.